Imagine walking off the edge of a lush valley, flying over tree tops to the other side, soaking in the gorgeous mountain views along the way! 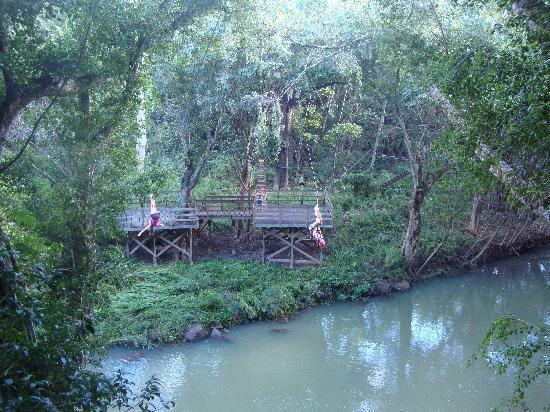 Our Kauai zipline course is a thrilling combination of 9 zip lines and a suspension bridge spanning a waterfall. The final zipline called King Kong is an adventure all on its own! First you walk up a ramp to a 26-foot high tower. 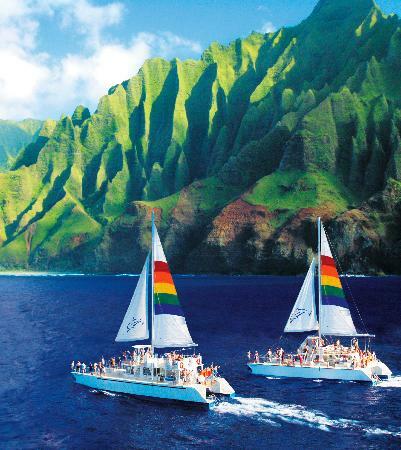 Next you are ziplining 1,200 feet, racing your partner side-by-side or maybe holding hands! This tour includes an hour at a hidden swimming hole. Swim, jump or just float around on inner tubes. 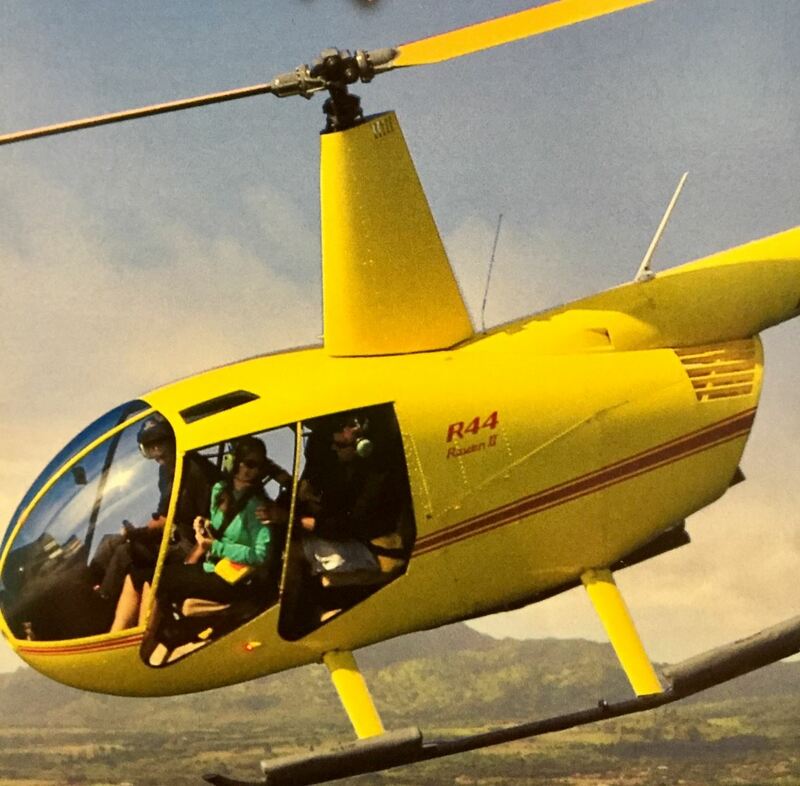 Come zip and dip on a private ranch on beautiful Kauai! Make-your-own deli sandwich: Pita bread, Turkey, salami or hummus (vegetarian selection), Havarti and jack cheeses, Cucumber and sprouts, Onion and peperoncinis, Kettle potato chips (assorted flavors), Homemade cookies (assorted), Mayonnaise and Grey Poupon mustard, ZIP N' DIP Course: 8 lines plus a bonus 'bunny' line Manini (bonus 'bunny' line) 170, Lehua 460, Ironwood 230, (Suspension bridge 80), Hau Bush Run 260, Wiki Wiki Express 530, Okole Hau 220, Big Kahuna 740, Lele Pali 600, Pau Hana 470. These zip lines are approximately 150 feet above the valley floor. 24-hour notice of cancellation for groups of 5 or less. 72-hour notice of cancellation for groups of 6 or more. Cancellation/changes or no-shows that fall outside of these policies will be charged the FULL AMOUNT of the tour. 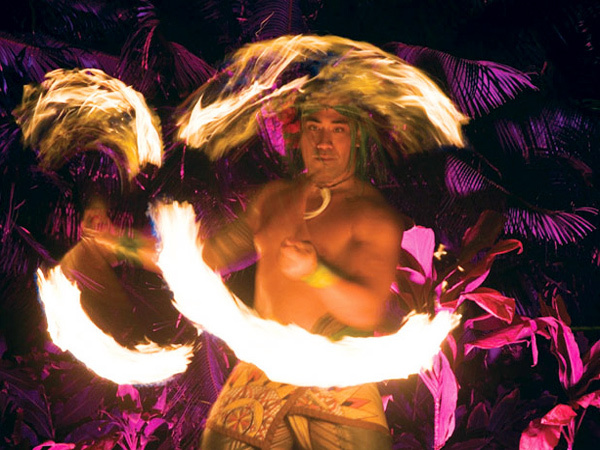 This is Princeville Ranch Adventures' most popular tour! The course is a combination of eight picturesque ziplines and a suspension bridge spanning a waterfall. Hiking distance is less than one mile. Not recommended for people afraid of heights. An adventure of a lifetime! Bring Drinking water, 32oz per person. Requirements: 10 yrs old or older, No expectant mothers, Not afraid of heights, No recent spinal or leg injury or surgery, Must be of average of better physical fitness, Must weigh between 75 and 280 lbs.